When I get angry at my computer I throw it out the window with scant regard for the safety of passers by. If you'd rather punch something, buy a cat. 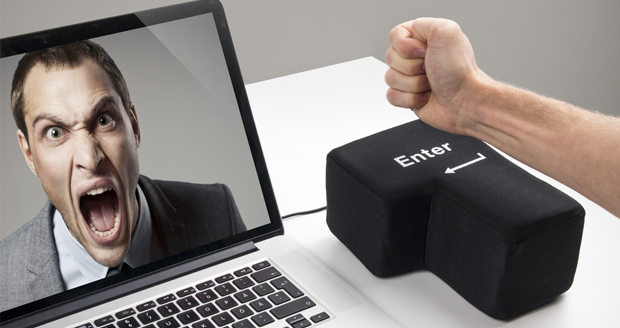 Or, just get one of these massive Giant Enter Keys and smash that with your stupid great fist instead. 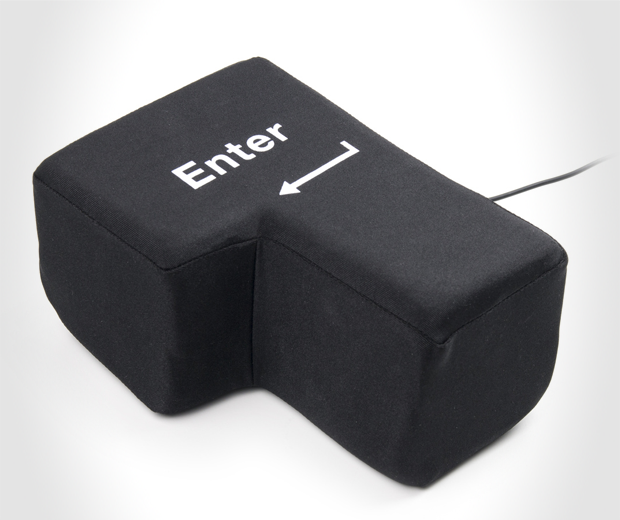 This 140x200mm fluffy giant enter key actually works too. All you need to do is plug it into your computer via USB and voila, you can feel like a big toughy every time you finish a sentence.